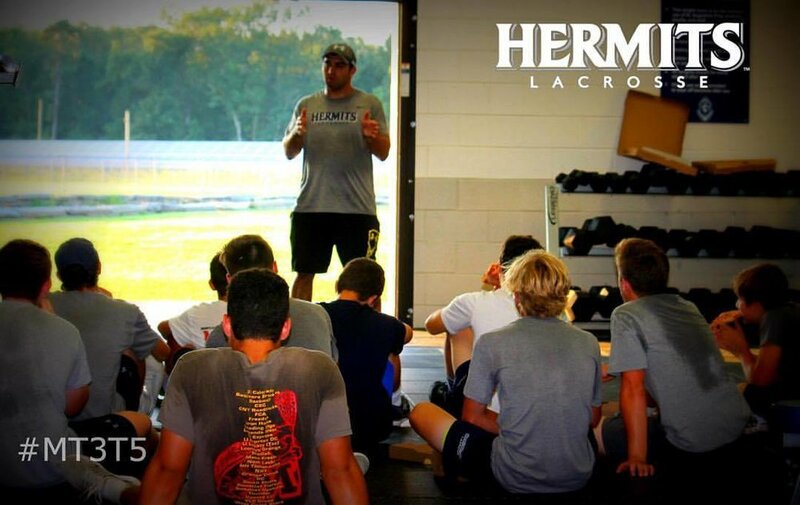 The Hermits Lacrosse program has always strived to work with committed players that are constantly pushing themselves to be better all-around student-athletes. We cannot stress enough the importance of making gains during the offseason. Skill, Speed, strength, and mental toughness are a few of the qualities that separate athletes at any level. All truly great high school athletes achieve this separation outside the traditional 3 to 5 practice window. In line with that mentality, our staff wants to provide our players with the tools to grow as athletes on and off the field. Below you will find information on the four MT3T5 sessions, as well as a recommended weekly workout. TEAM SESSIONS - All team sessions are open to the classes of 2019, 2020, 2021 and 2022.